An elegant sterling silver heart shaped necklace for your special Mum or Nan that can personalised on the reverse with your own message of love. 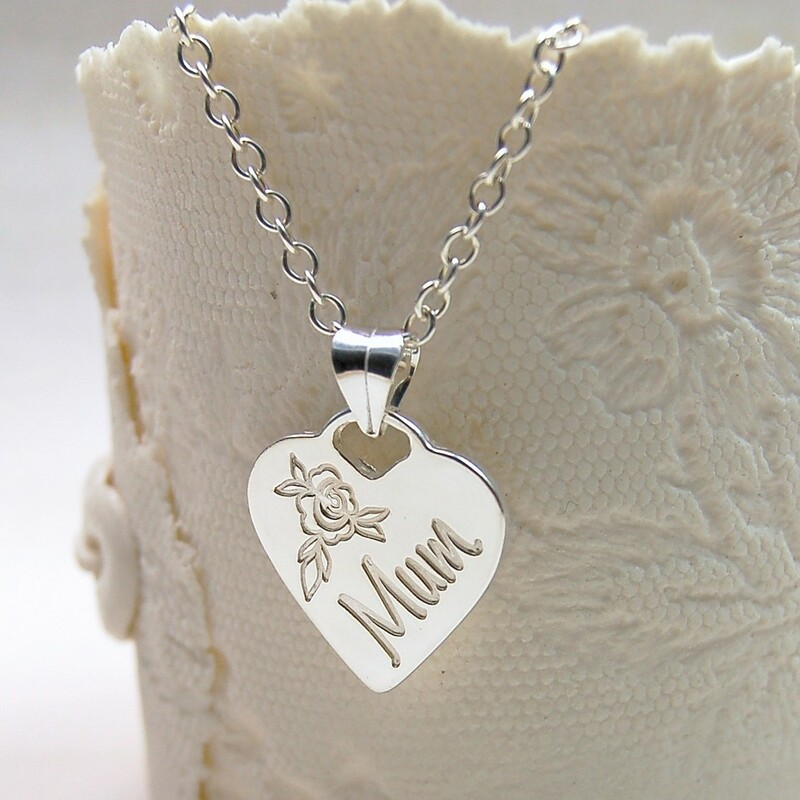 Spoil your Mum/Nan/Gran with this elegant heart shaped sterling silver necklace which has a beautiful rose etched on the front. 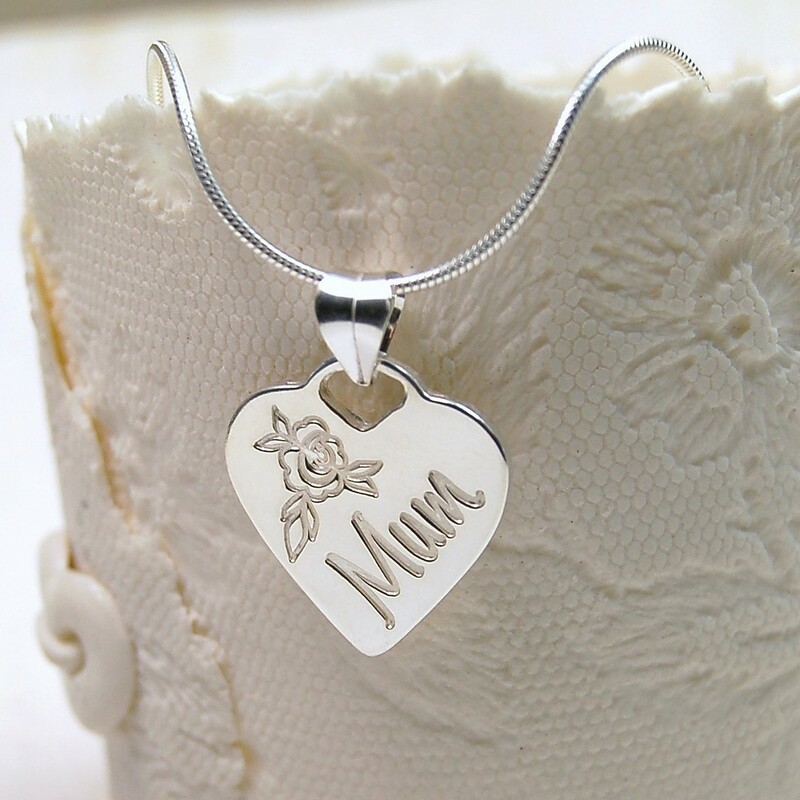 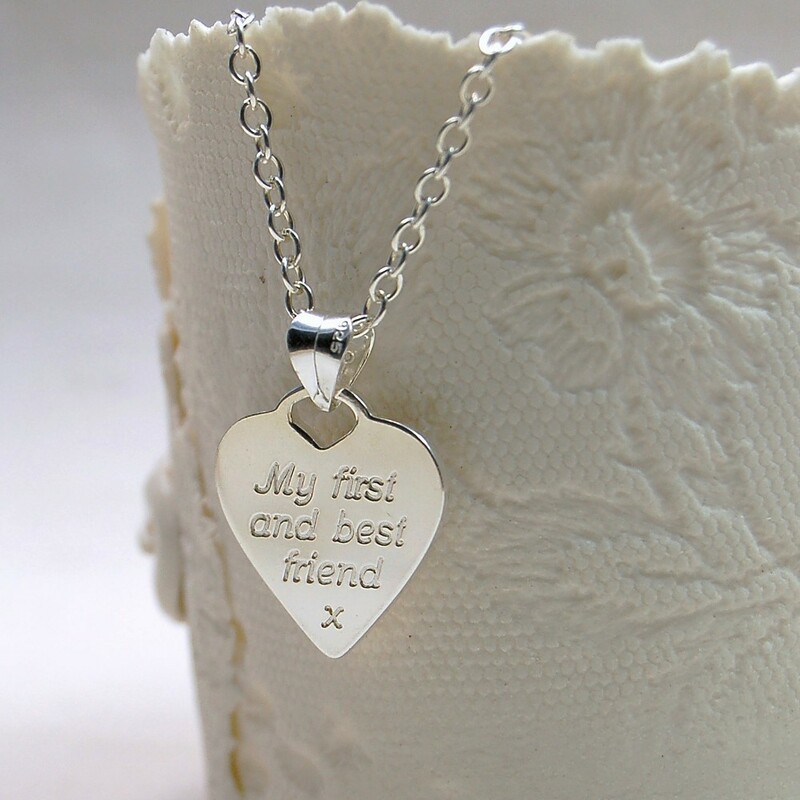 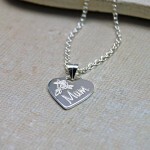 A gorgeous gift to show your Mum how much you care on a special occasion such as Mother's Day or a special Birthday. It is also the perfect gift to say thank you, for being you! This heart pendant is made entirely by hand. 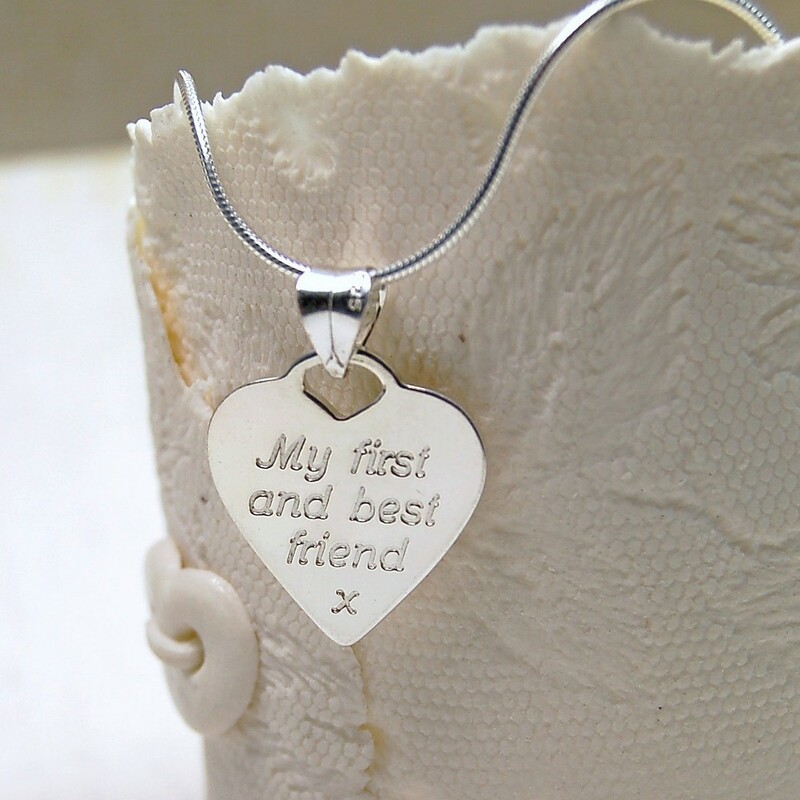 Firstly the heart shape is pierced from 1.2mm thick sterling silver sheet, then the rose and text is skilfully etched deep into the silver. 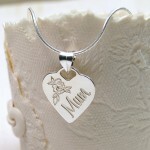 Finally the bail is soldered on and then the pendant is polished by hand to a high shine. 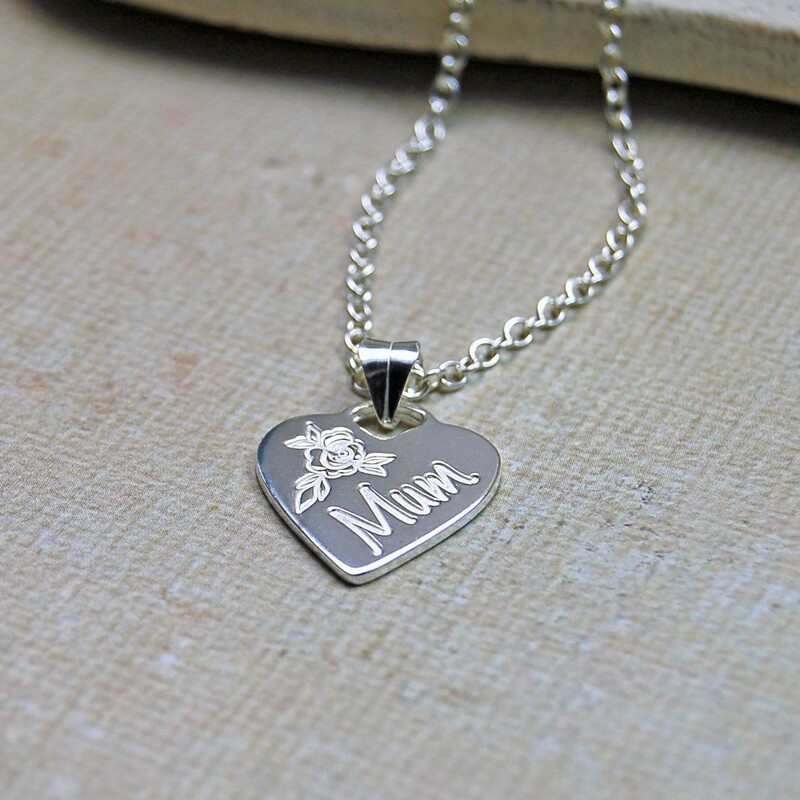 Alongside the rose on the front of the heart you can choose to have it etched with Mum, Mom, Nan, Nanna or Gran and the back can be further personalised with a short message of up to 26 characters, maybe to mark a special milestone birthday, or with the names of children and/or grandchildren, or just to let her know how much you care. 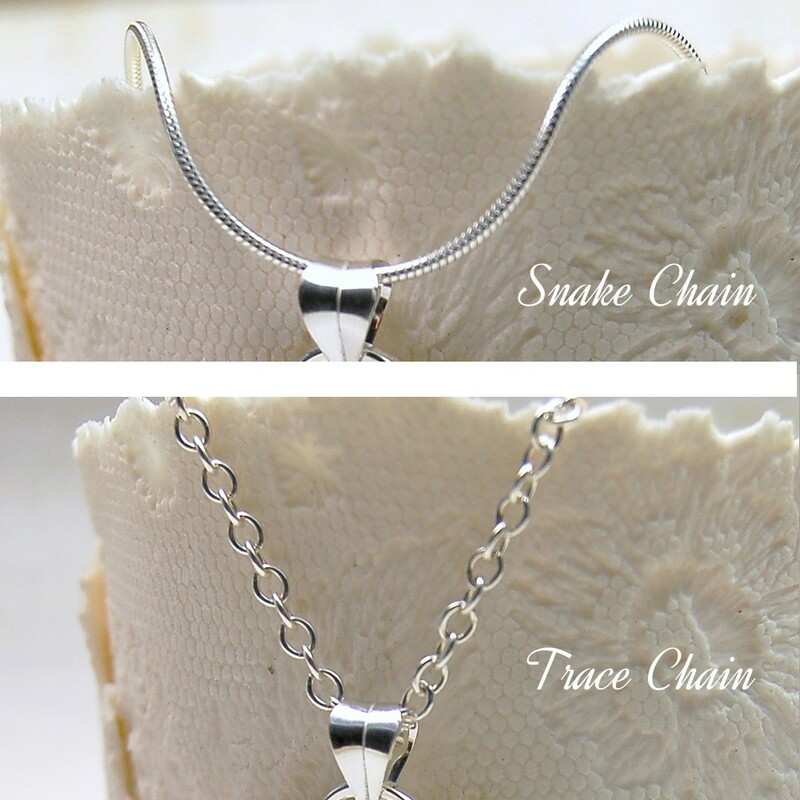 You can also choose to have the heart pendant on a silver trace or snake chain both of which are available in a number of different lengths to suit each individual. The heart including the bail measures approximately 2.5cm high by 1.8cm wide and is 1.2mm thick. 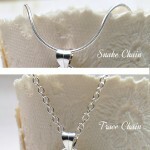 The chain is available in 16″ (40cm), 18″ (45cm) and 20″ (50cm) lengths.